Step 1: In a large skillet, just slightly heat the olive oil. 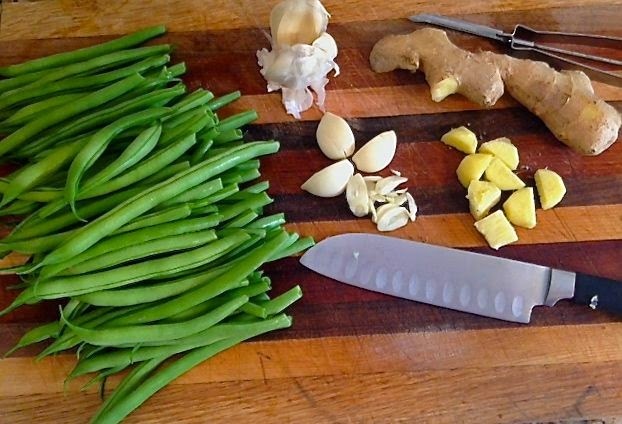 Add green beans, ginger and salt. Toss with wooden spoon or tongs, to coat with oil. 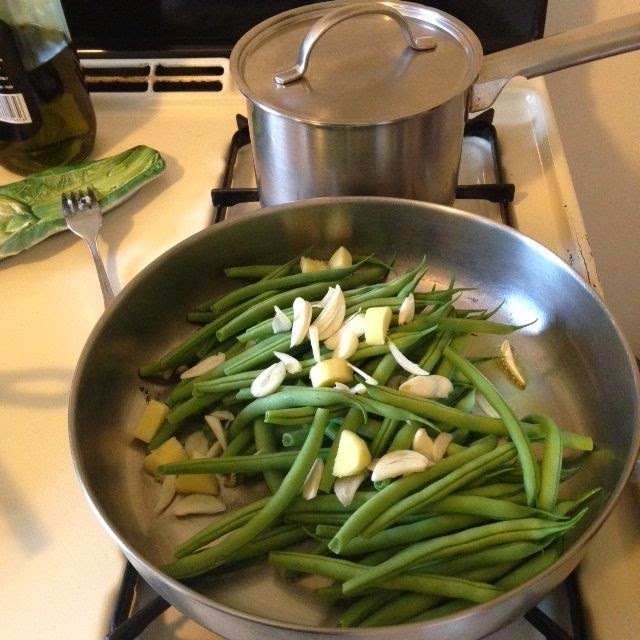 When beans begin to darken slightly in color, add garlic. Continue turning beans, so that all sides begin to wilt and brown. Add sugar. When nearly all beans have some blistering and browning, add soy sauce, and chili flakes if desired, and continue to stir fry for another minute or two. Remove from pan, so beans don't continue to cook. Turn onto plate or platter.